RDG tools on eBay aren’t too bad. Yep, great stuff. Cheaper direct on their website (if you can navigate it), though. The grinder it is. I've a test version, so if I foul it up, no loss. I'll get the measurements of the inserts I have and try cross reference these to tool holders, I like the trick of keeping the shins and holders together, but think the 4 way quick change thing is the way forward. Rather than the quick change ones which turn round 90Deg at a time with some kind of ratchet. Available in different sizes to suit the machine. Me too, but it's a weeee bit spendy compared to the other flavours! My lathe came with a Dickson type one (RDG Tools have them) and I wouldn't be without it. RDG tools are pretty good value for reasonable quality gear - not ABOM / This Old Tony quality but equally not awful Chinese tat. Likewise Chronos. I've never bothered faffing with the (dead) coolant pump, not sure how necessary they are? Yep, I'd settle for the Dickson type given the price! I'd not bother with flood coolant. Running carbide it's completely unnecessary; running HSS is fine with some decent neat cutting oil and a brush or squirty can. IMO coolant rather than oil etc. The main thing with a coolant pump rather than brush/squirty bottle is the time when you've got both hands busy and want a bit more coolant. The electrics remain an issue. 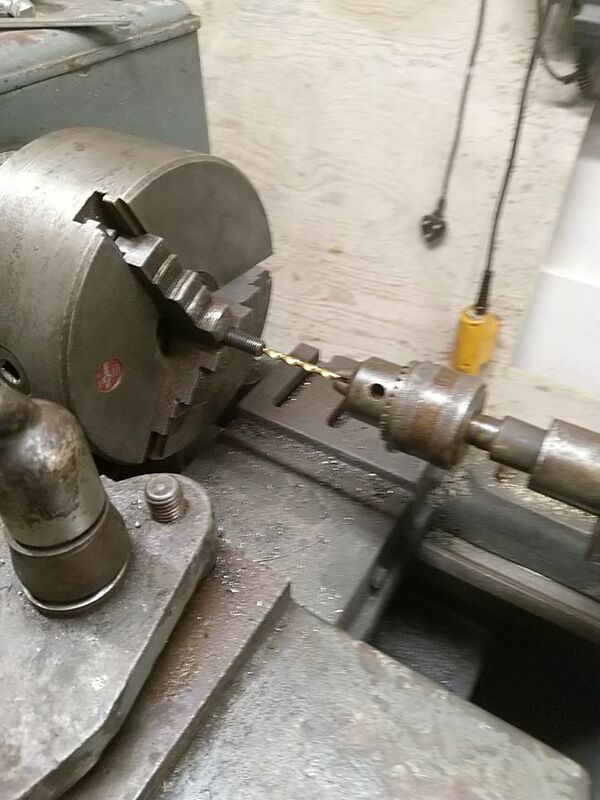 If I start the lathe cold in high speed, it trips the house supply MCB that takes the power to the workshop. Which is an old school RCD, 30mA, connected to a Henley block to the main isolation switch. It also tripped the workshop CU master, but not it's own circuit breaker. Is that consistent with an in-rush current for a large motor, or something more sinister? I'll swap out the trips this weekend, re-wire the motor connections to the forward/reverse electrical box. I also want to check the society to lathe cable, make sure it's chunky enough, and that I've proper crimped terminals. Oh, and thanks for the "this old Tony" suggestion, it's very good. 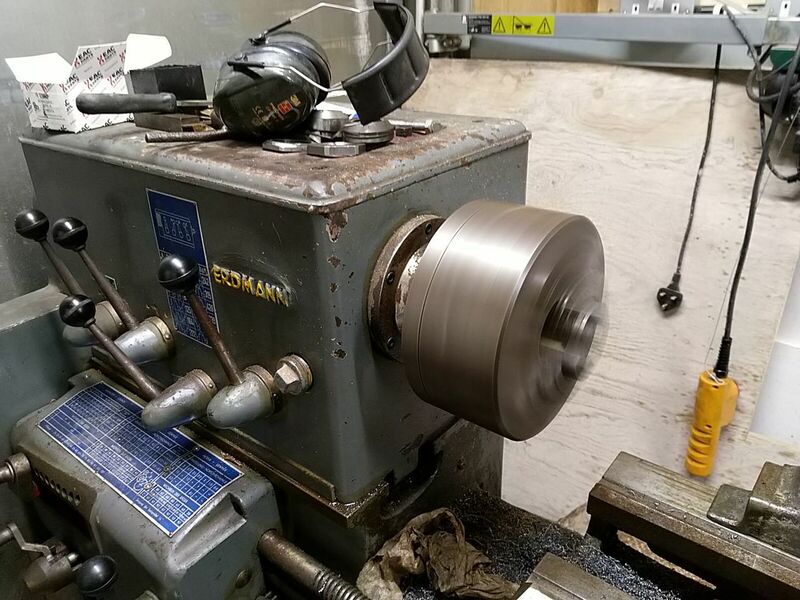 I now want a metal shaper and a surface grinder. As well as a mill. ignoring that, a decent sized ( but not too big for the conductor sizej RCBO would solve your issue. 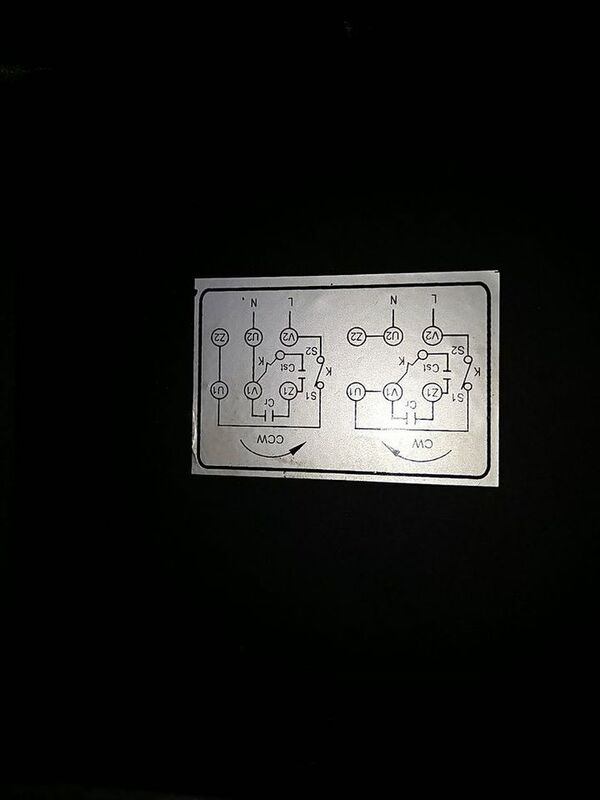 if you actually have a mcb thats tripping, then changing it for a d type should stop the inrush from tripping it. if its a rcd thats tripping id be more concerned. Dixon type used to be my favourite, but then I got my Schaublin. That came with a multifix which at first at was quite keen to move on. However after using it for a while, I've actually grown to prefer it to the Dixon on my Boxford, and am now thinking about changing out that one instead. Rotagrip stock genuine multifix and chinese copies. I think I need help writing the motor. 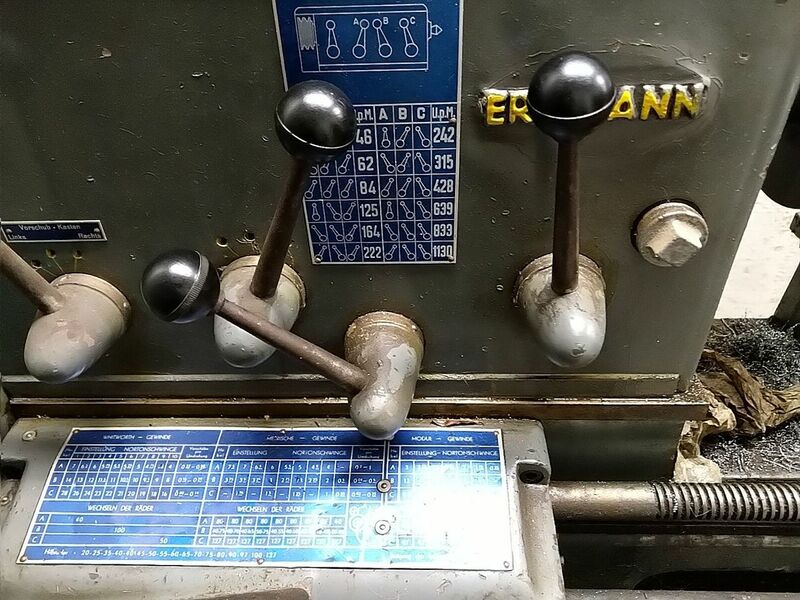 The lathe has an electrical reverse switch. This has three pairs of terminals. In direction 1, two input terminals connect to the straight opposite output terminals (all four are connected. The third pair also connect straight across. In direction 2, two terminals connect with the diagonally opposite terminals and the third likewise. The motor, has a six terminal block, with two hard links turning it into 4 terminals. The advice I've seen suggests remove the links, and have two pairs of L&N coming from the direction switch. But I don't think my direction switch gives me that. It just reverses polarity. I need help with this, I think. Ah. No. I'm wrong. It's a capacitor start capacitor run motor. This doesn't mean soft start. Right. Two parts to this problem. 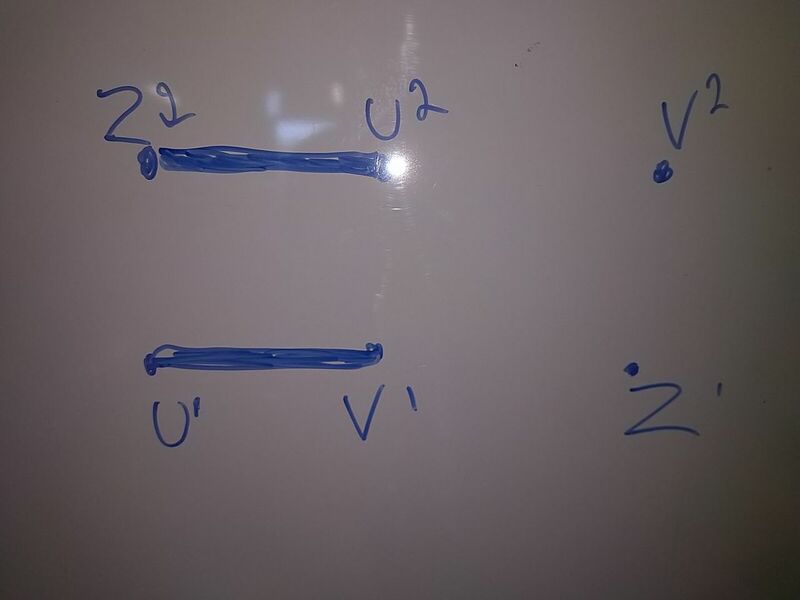 1) how do I get the motor to run backwards without having to do those little bus bars. 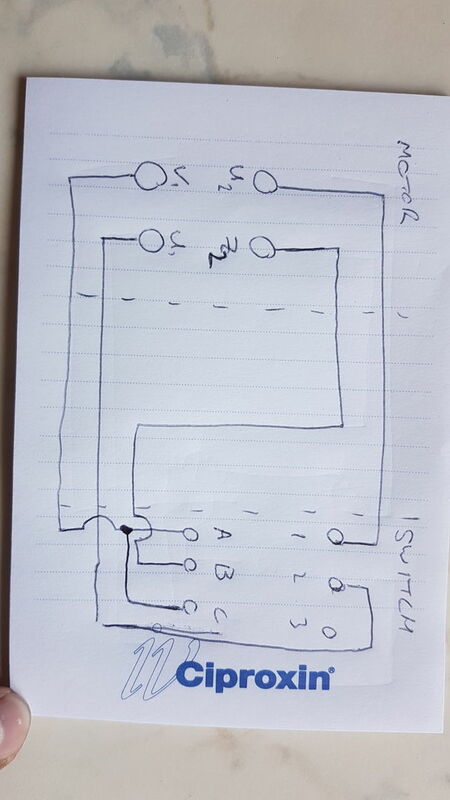 2) how do I reconfigure the drum switch to standard. 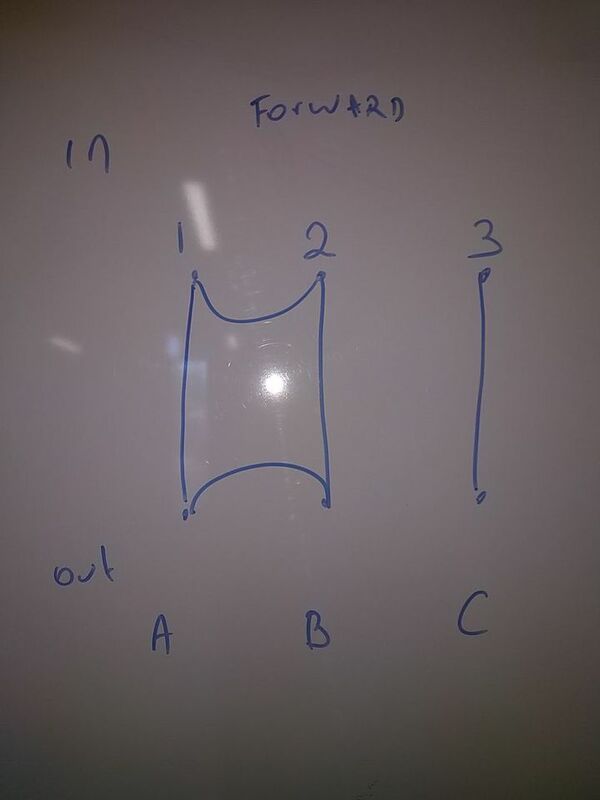 I think that if I solve 2, then 1 will follow as then the drum switch becomes the little bars. Yes, a new drum switch is one option. The challenge is connecting this to the direction lever on the main saddle; this lathe has a lever at the saddle that operates the drum switch at the motor. 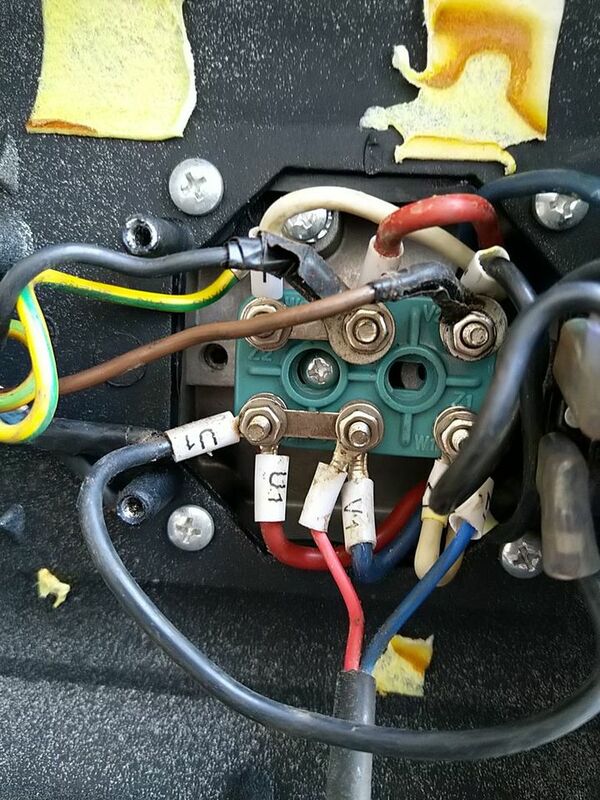 Which is why I think I've to reconfigure the original drum switch, if I can. 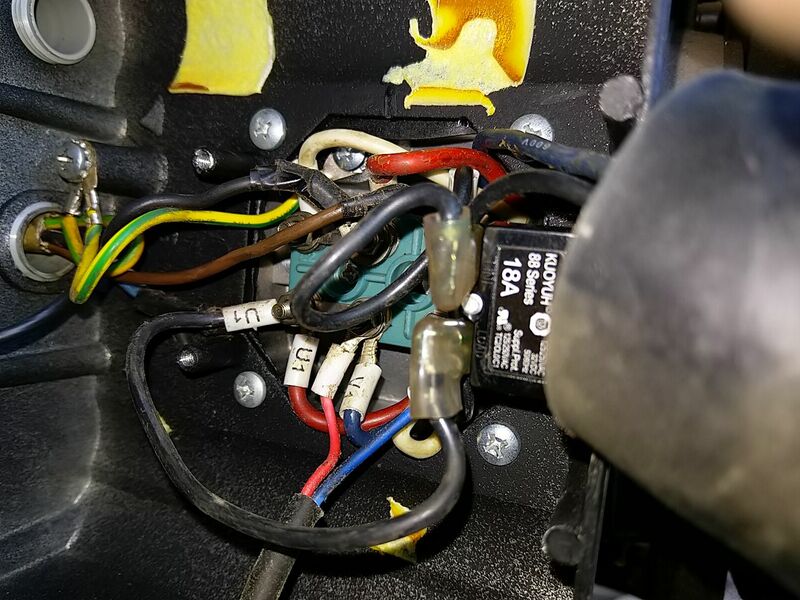 To do things one at a time have you wired the motor direct for forwards without the switch to see if you can solve your problem of the house electrics tripping out? I could be completely misinterpreting what your saying with the switch so please check don't just go along with me but would this do it? I think the rewire, and new trip did the trick. It's running at full speed. 1130, if the motor plate isn't lying. I must buy a tacho gun. I think it's the first in rush that does it. If I run the machine in neutral first I should be fine. I'll think about the drum switch in a bit. 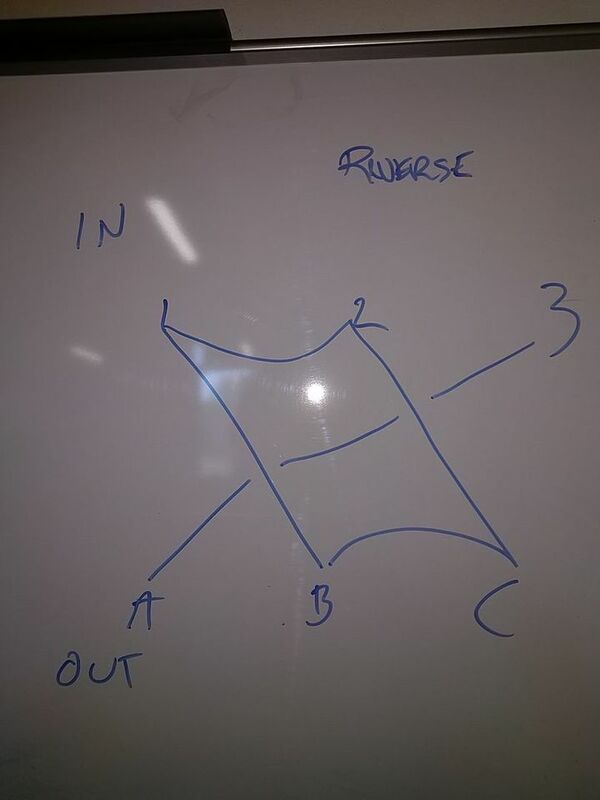 I need to scribble some writing diagrams to get my head around it. How do I use the lathe to drill a hole in a bar? 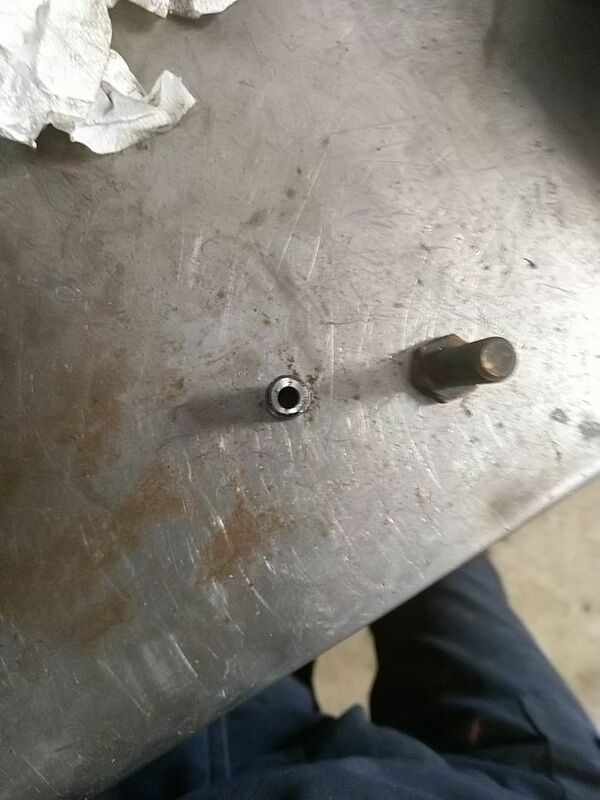 I tried with a drill bit and found it difficult to center the bit.